In 2015, the Association of American College and Universities issued a report (Falling Short? College Learning and Career Success) that listed the skills that employers seek in college graduates. The outcomes most highly valued were critical thinking and analytic reasoning, written and oral communication, complex problem-solving, ethical decision-making, and teamwork skills. Employers believe that all students should be expected to complete a significant applied learning project before graduating from college. Many college majors offer a capstone course or project that fits the bill. In chemistry and biochemistry at Oberlin College we do not offer a capstone course, but we do encourage all students to be involved in independent research before they graduate. In addition, several of our courses include research-like, multi-week projects that do match the label: significant applied learning projects. One of those courses is Analytical Chemistry, taken mostly by junior majors. After building laboratory and data handling skills and learning to be more independent in experiment design over the first two-thirds of the semester, students engage in a forensic analytical chemistry project. A crime scenario and associated physical evidence are presented to the students, and the students are tasked with determining, by instrumental analysis of the evidence, what happened and who did what at the crime scene. One lab section serves as the prosecution team while the other must defend the accused at a mock trial that concludes the project. Three non-science Oberlin faculty members make up the jury panel. A major hurdle for students is presenting data, results, and conclusions to a non-specialist audience. Many students by their junior year have had experience giving posters and presentations at chemistry and biochemistry conferences, but few, if any, have had to explain their work to non-scientists. Without specific attention to and instruction in presenting science to a general audience, most students at trial fail to convince the humanist or social scientist or musician of the value of their data and the significance of their conclusions. This was quite evident when the project was first instituted. As a remedy, assignment, class, and laboratory time is now devoted to exploring best practices. Students are provided readings about presenting scientific evidence to the trier-of-fact, almost always a non-specialist audience. Assigned articles include: Communicating Science to the Public, by N. Dalrymple, New York Academy of Sciences, ebriefing posted on 5 February 2013; Expert Witness and Jury Comprehension: An Expert’s Perspective, by J.S. Schutz, Cornell Journal of Law and Public Policy, Vol. 7, Iss. 1, Article 7. A favorite quote from these readings (by judge Catherine D. Perry of the Eastern District of Missouri) is “Triers-of-fact, whether judges or juries, need to have things explained to them. Evidence that works is evidence the fact finder can understand. The trial lawyer’s job is to make the evidence understandable. That is not to say that fact finders should be treated like three-year-olds; treating us like reasonably intelligent twelve-year-olds will do the trick. In other words, keep it simple, explain it, make it clear, show us as well as tell us.” Sage advice for both the courtroom and the lecture hall. In addition to the readings, staff from Oberlin’s speaking and writing center visit the class to provide both general and specific suggestions for delivering an effective oral presentation. The class time includes student activities to get them thinking about how not to and how to best present science topics. Later, the instructor provides more concrete examples of best practices from past trials. Finally, the students are tasked with rehearsing their talks in front of roommates and friends who are not science majors. With this instruction in place, the effectiveness of student presentation has greatly improved. The forensic laboratory project’s main goal from the perspective of an analytical chemist is to bring together and fine tune all of the laboratory skills and instrumental skills and knowledge that the student has gained over the course of the semester. 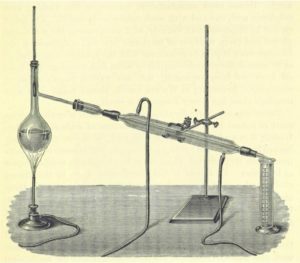 But as it turns out an equally important success of this laboratory project is teaching the student how to speak to the public, how to convince the listener that their chemistry experiments were of high quality and that their findings are significant and to be trusted. This is an especially important skill in these trying times with much disregard for science-based decision-making and charges of “fake news” and “alternative facts”. 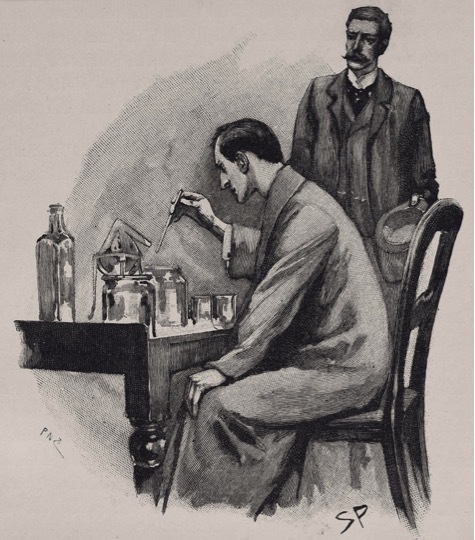 Note: The author has a book for sale, Instrumental Investigations: A Laboratory Manual of Forensic Analytical Chemistry, that makes it easy to implement a forensic project lab in any undergraduate analytical or forensic chemistry course. Contact the author if interested.